Photos to follow the ceremony. See your photo time here. To cut down the traffic and parking congestion we ask that you walk, if possible. If you do drive, please park on the Wildwood Ave. side and not on the El Cerrito side. We forward to seeing you! A great opportunity for young girls to work with the high school players! The PHS softball team is running a clinic for all U6 and U8 players from 10:00am-12:00pm at Beach Field. Baseball has had a fall ball program for years. Now it’s time for the girls to get a chance! PBSF and OGSL are sponsoring a fall ball program. The games are typically Sunday afternoons with no practices. This means if you play fall soccer or volleyball, game conflicts are minimized. Fall ball is fun and low-key and it’s a great way to get used to a new size ball and pitching distance if you are moving up, or to get more experience before the spring season. Online registration is open now until September 3rd. This year, for the first time, PBSF will be offering Fall Softball. The season runs from mid-September through mid-November and will consist of Sunday games without any weekday practices. The player’s age on December 31, 2012 determines the player’s division for Fall 2012 and Spring 2013 seasons. All players must register in their age-appropriate division. Please register as early as possible to help us determine the number of coaches needed! 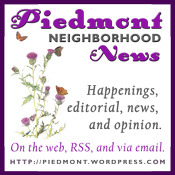 Piedmont Girls Softball Registration Now Open! Softball is more than just a game! It begins as early as in the 6U division, playing catch, chasing the balls, getting a great hit off of the coach, and then of course, it is the friends on the bench and the cheering of your team mates while they run around the bases! It continues into the older divisions and becomes sharing a pizza, watching a PHS varsity game, maybe even a movie or two and before you know it, solid friendships are formed that follow into middle school, high school and beyond. Each spring these friendships bloom in the presence of an 11 or 12 inch softball! Winning is not the primary purpose of the league. Emphasis is placed on having fun, while developing solid fundamental softball skills. The element that makes it “fun” is participation. The softball program focuses on skill development, team cooperation, sportsmanship and respect for others. The Piedmont Softball league will also be supported through age targeted coaching and skill clinics led by professional coaches. Teams will be selected the first week in February, and rosters distributed shortly thereafter. Softball involves one weekly practice and a Saturday game from March 5th – June 4th, 2011. Games are played against teams from Piedmont, Oakland and Alameda. Don’t forget to register! Deadline is December 17th! To register for Spring or to learn more information about Piedmont Softball, please visit our website www.piedmontsoftball.org . Please be advised that registration officially closes December 17, 2010. There will be a ‘late fee’ of $30 assessed for registrants after December 17th, 2010—so please register your daughters early! Sign up now for the 2009 Piedmont Girl’s Softball season. After Jan 15th a late fee applies, so don’t wait—register now. Visit the Piedmont Girls Softball website to learn more.